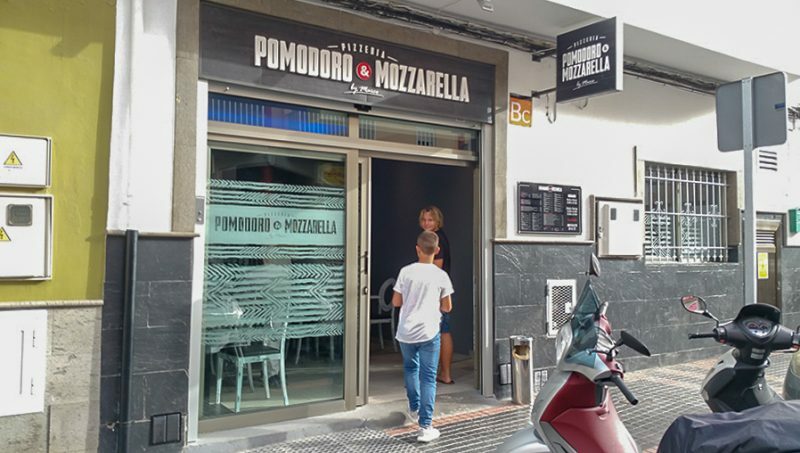 Since summer 2018, you can find the Pizzeria Pomodoro & Mozzarella in a bigger and more central location on the main street of El Tablero. As always, they do home-delivery in the town as well as to nearby Maspalomas and Playa del Inglés. 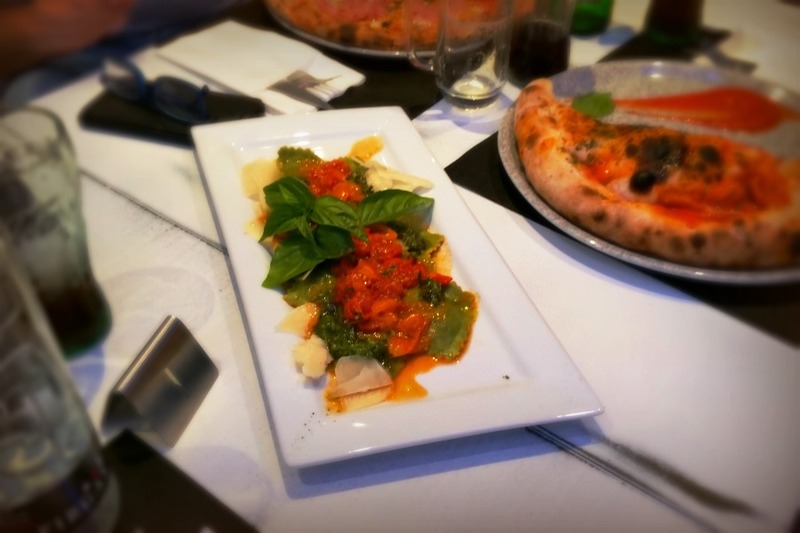 The menu has been updated and is now more extensive, with starters, focaccias, salads and white pizzas. In addition, there are daily pasta specials, which we can only recommend. We tried the ravioli special with basil. 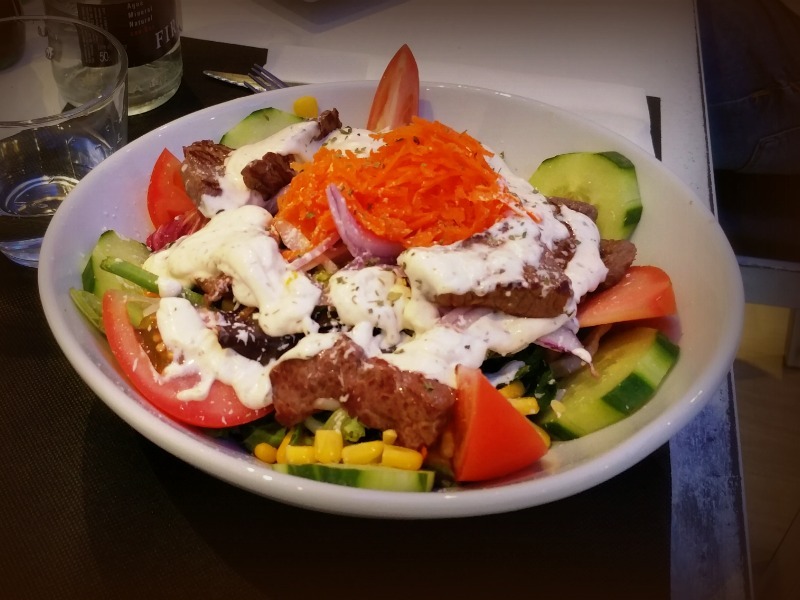 Oh – it was delicious! 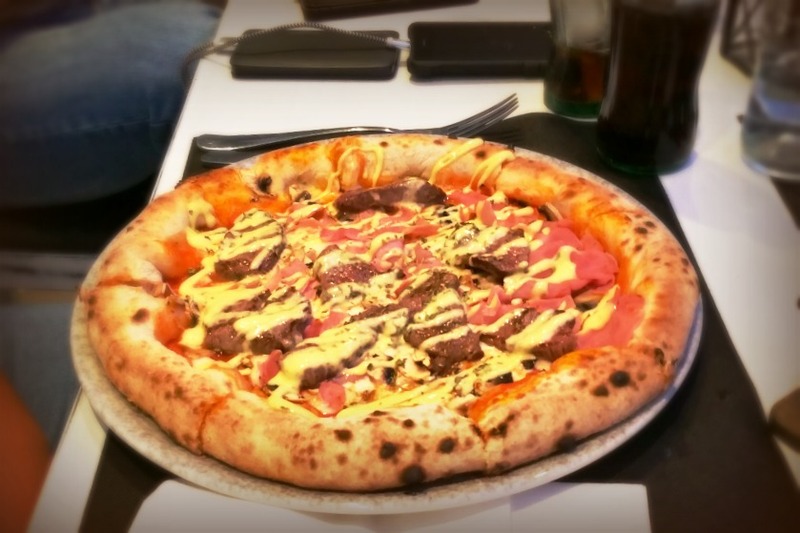 Riccardo, the owner takes great pride in serving genuine Italian pizzas made of dough which is rested over several days. The result is an exquisitely light pizza experience. The amount of salt is minimal, he explains, only just what is needed. 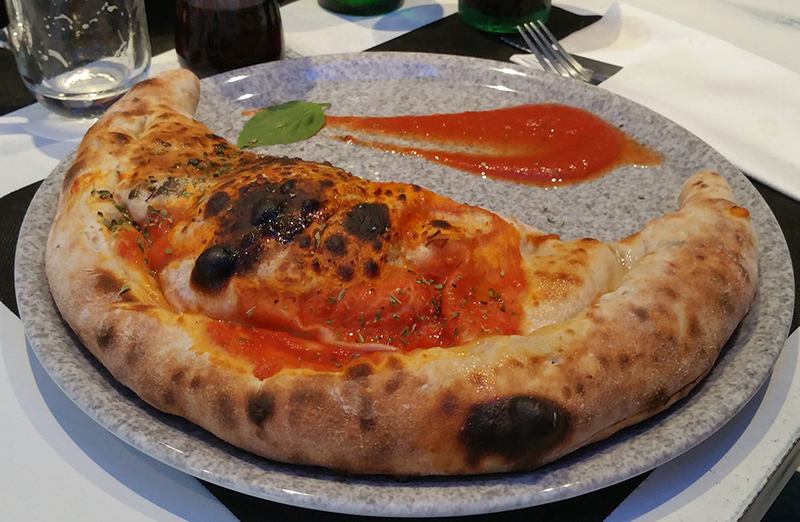 A customer will never wake up desperately thirsty in the middle of the night after eating a pizza from Pomodoro y Mozzarella late in the evening. Cheese lovers can ask their pizzas to be made with a stuffed cheese crust. That is almost my favourite bit of food there, but then there is much more to try and to enjoy. And please leave room for one of their wonderful home-made desserts! 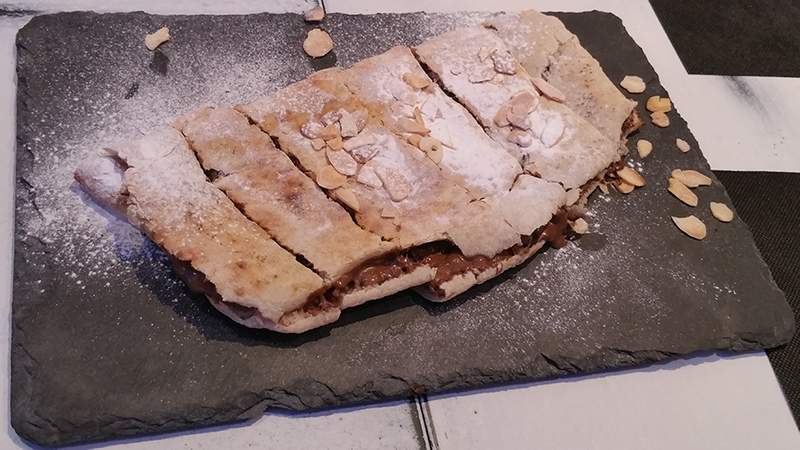 Dessert lover’s heaven is the Calzone a la Nutella. My boys swear by it! It is a thin pizza dough, filled with a nice thick layer of Nutella and sprinkled with icing sugar. Served elegantly on a black stone slab. Simply perfect. 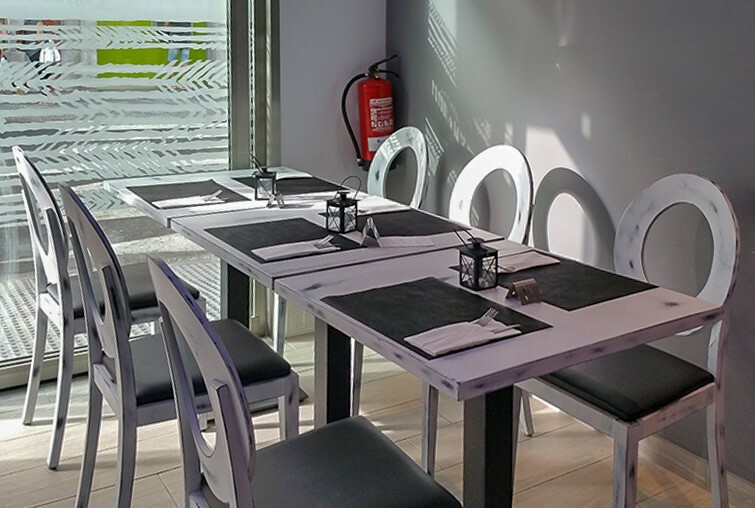 The restaurant and all its furniture are in slick white, black and steel colours, with specks of reds and greens. Even the menu is in dark grey tones and white, similar to the street sign below. Spectacular modern surroundings and great attention to detail in the two rooms, which hold about nine tables. 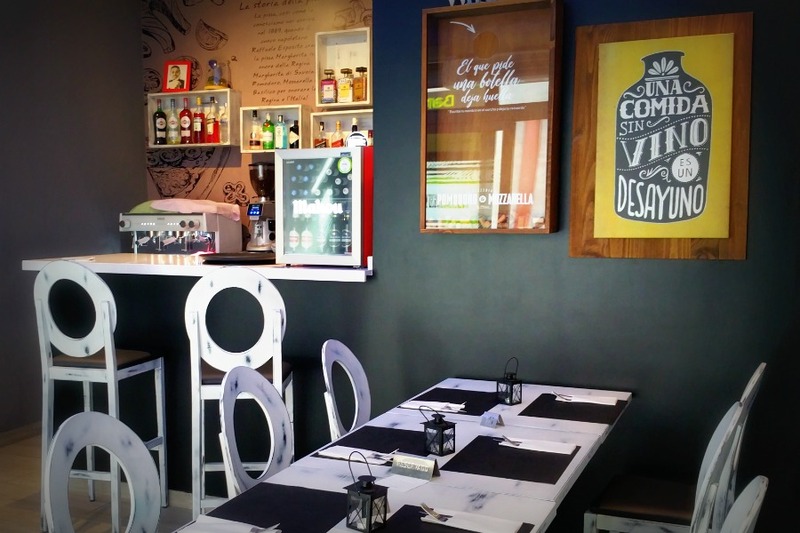 See the entrance below, you can’t miss it on the EL TABLERO highstreet! You will find that the restaurant takes pride in its value for money, its atmosphere and, of course, its friendly service and attention. You can choose your place in either of the two air-conditioned areas. You can visit the restaurant from 18:00 every day except Mondays. At the weekend, from 13:00 to 16:00 and 19:00 to 00:00.